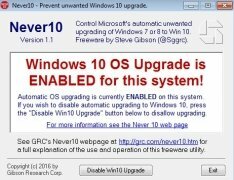 If you're fed up of tiresome notifications from Microsoft telling you to update your operating system to Windows 10, you now have a way to block those alerts automatically and deactivate the update with a single click. 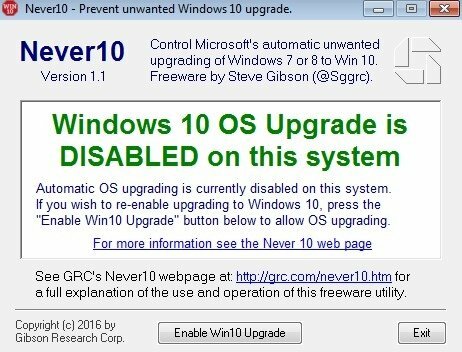 We're talking about Never10, a program that automates the deactivation of the update to Windows 10, putting a full stop to the flooding of hardly subtle recommendations on behalf of the Redmond-based company. 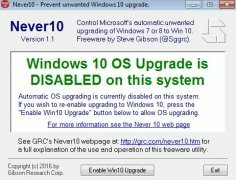 Decide for yourself if you want to update to Windows 10. Furthermore, it's a totally portable application that doesn't install anything on our computer, and that simply modifies the system's settings, which would require expert knowledge if we were to do so manually. 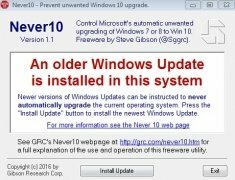 We've just got to run the file on a computer with Windows 7 or Windows 8.1 (the only two operating systems that update automatically to Windows 10). 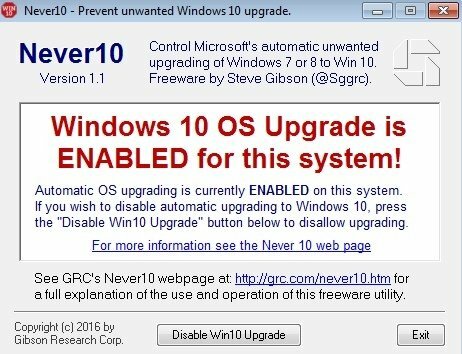 From the program's only window you can choose between enabling or disabling the update, depending on your computer's current status, pressing the Disable Win10 Upgrade or Enable Win10 Upgrade button at your own risk. 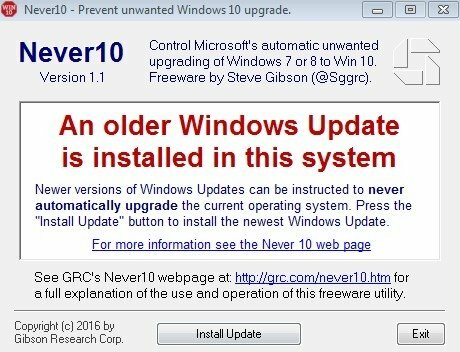 Requires Windows 7 or Windows 8.1.